Who said that paisley ties are always old school and overly traditional? For anyone who believes that, neckwear designer BlackBird will proof you otherwise! 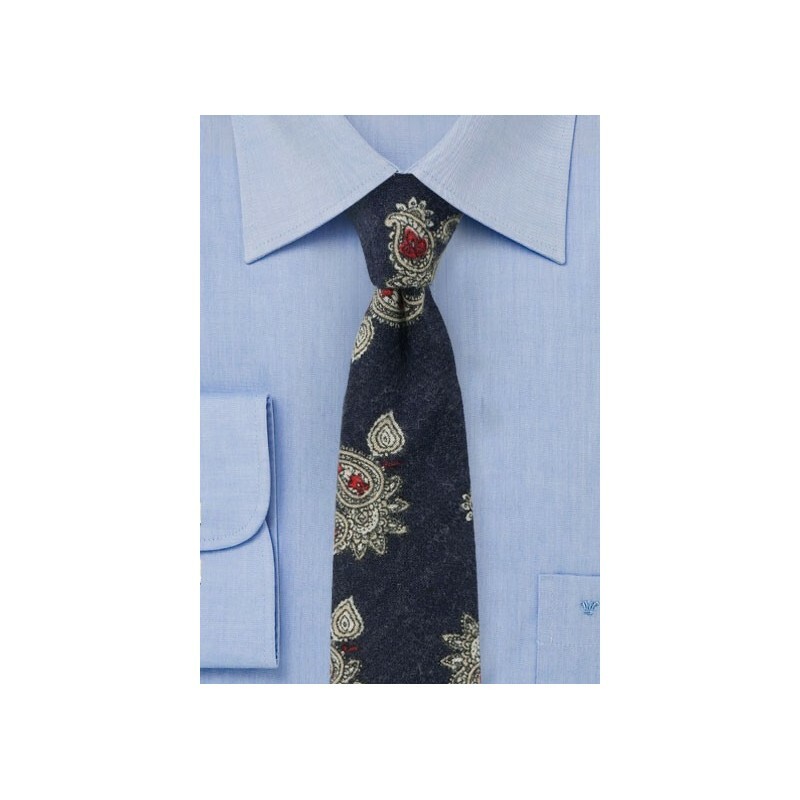 This new slim cut tie features a traditional large paisley print on an unusual cotton flannel fabric. The combination of slim cut, large scale print, and matte flannel fabric creates a casual accessory that actually looks better when worn with jeans than with a full suit. 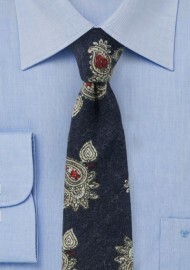 This paisley print cotton tie is also available in cream with gray and red paisley print.